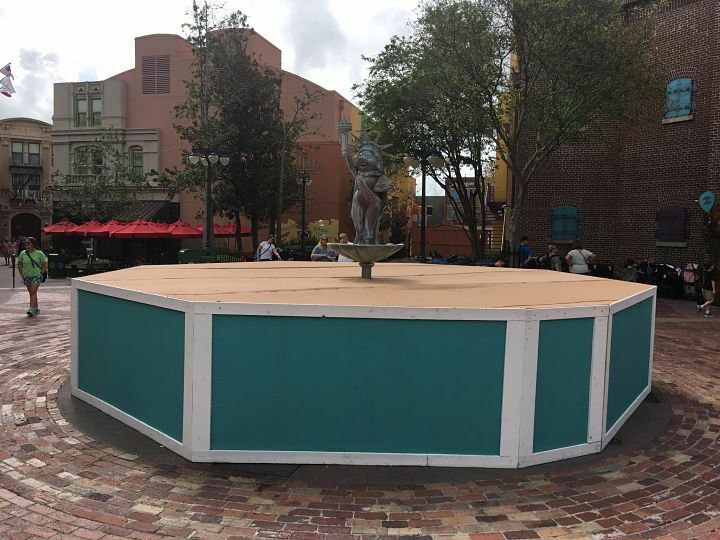 The construction of Grand Avenue has prevented the Ms. Liberty Fountain (better known as the Muppet Fountain) in Disney’s Hollywood Studios from being operational for over a year now. The construction likely caused the water lines to be cut around the fountain since it has been used as a flowerbed for the past year. We can only hope that it will no longer be used as a flowerbed as it has been surrounded with temporary construction walls indicating that it will soon be operational.